Pair of beautiful decorative pillow covers from vintage German mangle cloth linen. Casual elegance is the most appropriate description for these large pillow covers. These would work well in most any decor from sleek modern loft to rustic farmhouse. They have been constructed using vintage German mangle cloth. 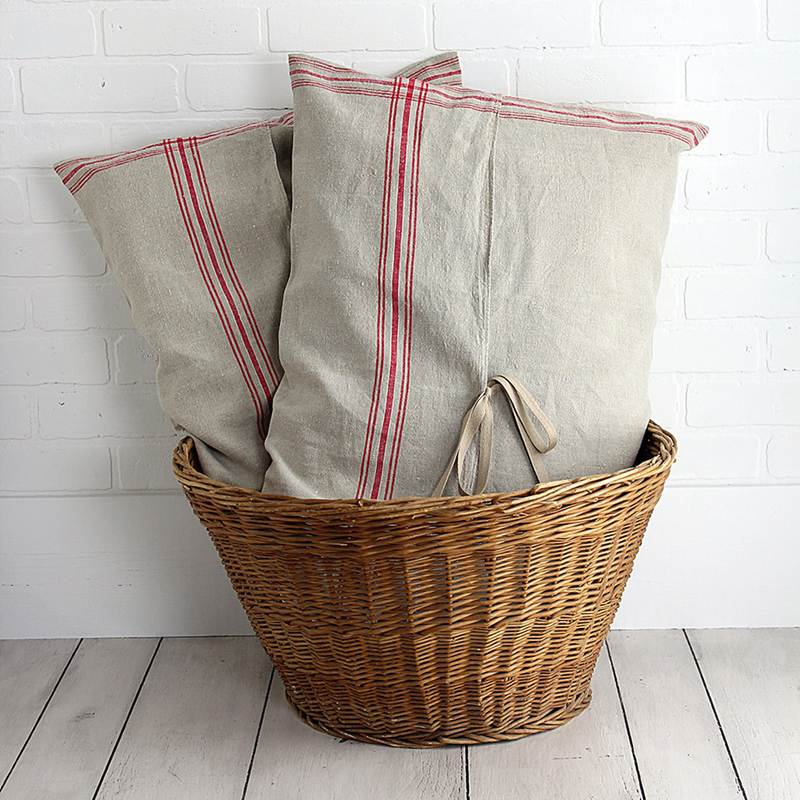 The khaki linen fabric is accented with red and white stripes and is extremely soft and lightly faded from a lifetime of use. They are designed in an envelops style and feature 100% cotton twill tie closures. These pillow covers are being sold as a pair. They are large, 20” x 30” and will fit queen size inserts (not included). Antique European Mangle Cloths were used to help iron items in mangle machines (ironing machines), and are made from pure linen fiber which is durable enough to withstand the high temperatures these machines required. The cloths used in creating these pillow covers originate from Germany and range in age between 60 to 80 years old. Check out my Etsy shop for more great vintage farmhouse decor.